The Panasonic Toughbook 31 has gone through 5 generation and through that period hard drive have changed depending on the model you purchased. In fact, the current model CF-31 mk5 is now standard with a 256GB Solid State Drive! Yep, rotational drive are on the way out. The good news is any of the hard drives listed below will work with your model. The exception may be that you have a custom drive image that required a specific drive geometry. If that the case, Contact Us and we'll do our best to provide the drive required. 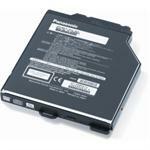 If not, depending on your model, we can provide a Panasonic Toughbook 31 factory new hard rotational or SSD. 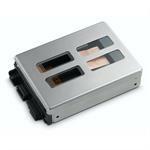 We can also build any size SSD drive enclosures (solid state drive) and image it from your old drive. Questions? 500GB HDD (7200 RPM)kit for CF-31 Mk3, Mk4, Mk5 Includes shock mounted container Want to upgrade to SSD? Just Call.